From the moment you step in the door at 96 Sefton Street the character and charm will embrace you and the feeling of peace and privacy will welcome you in. There are a few steps up, but what awaits you at the top makes the gentle climb more than worthwhile. Configured as a home and income, this home has the opportunity to convert to one dwelling with the original staircase still in place or continue to enjoy the steady income from below while enjoying space upstairs. This wonderful home offers a tranquil retreat with bird song, greenery and privacy whilst being located just minutes from the city. 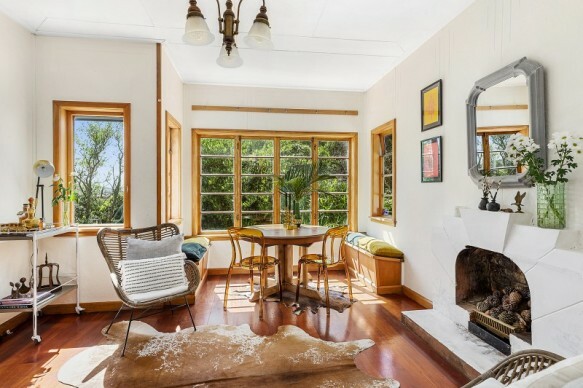 Filled with deco features and traditional ambience, this wonderful home has been much loved by the current owners during their years living here, and subsequently the tenants who have equally enjoyed this very special home.